Married...With Pop Band: Look what Carson found! Look what I found! 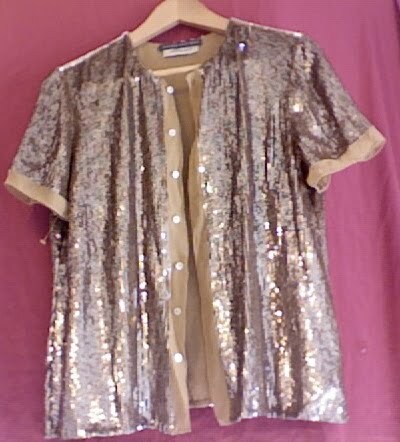 A gold sequined jacket at Goodwill for $4! And guess what? It's Oscar de la Renta!!! It's in perfect condition, a few sizes too big, but I am thinking I can work it a little oversized, layered with something more tailored. Goodwill, I love you.